At Sunshine, we offer lots of great activities and amenities, but it’s our people who really make Sunshine ADC centers feel like a home away from home. Our staff bring not only a wealth of expertise, experience, and skill to Sunshine, but also a caring and enthusiastic spirit. Sunshine staff love their work and look forward to every day they spend with our members. If you ask Tammy Ryan what goes into planning activities at Sunshine’s three locations, she’ll tell you: “It’s all about having fun. If it’s not fun, we really don’t want to do it.” In addition to overseeing Sunshine’s centers, Ryan spends time with members every day at the Peekskill and Newburgh locations. Ryan’s interest in working with the older members of our communities was first sparked when she was earning a Bachelor of Arts degree in Psychology and wrote her thesis on the benefits of wellness programs for the elderly. She went on to receive a Master of Education degree in Health Promotion and Wellness Management, and began her working life as a health counselor developing employee wellness programs for large companies. Along the way, Ryan also gained certification in first aid and CPR. After a career managing health and wellness centers and a hiatus to devote herself to motherhood, Ryan returned to the field that had first inspired her as a college student, managing residential communities for the elderly. “I found a passion for the elderly when managing retirement communities,” she says. That passion guides her work as Sunshine’s regional director. “You can genuinely see with the population we serve that we’re positively affecting their lives,” she says. “We have a duty to keep our members healthy and strong, in mind and body, to postpone placement into institutions and also to offer a much ­needed respite for caretakers. I make sure that our members are having a good experience and that we’re providing them compassionate care. “We’ve created a family here,” says Jasmin Tejera. “It’s magical, and it doesn’t happen everywhere.” Tejera is Director of Sunshine’s Monticello center, overseeing activities for both the adult home population and the group of social daycare members who share their time together at Sunshine. 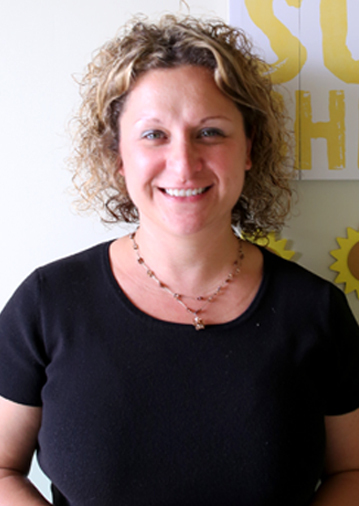 Tejera holds a bachelor’s degree in Education and came to Sunshine with long experience managing community service programs ranging from health education to maternal and infant services. She has sat on numerous community boards and coalitions in Sullivan County, including Sullivan Renaissance, Latino Service Providers Coalition, Tobacco Free Action Communities, and the AIDS Council. Born and raised in Manhattan, Tejera has lived in the county for more than twelve years and is bilingual in English and Spanish. To create the kind of environment that transforms members’ lives, Tejera works with Regional Director Tammy Ryan to program a wide range of activities tailored to the needs and interests of Sunshine’s Monticello members. She also organizes special community events where members sell craftwork that they’ve made and give musical performances together. Milagros Caceres came to Sunshine with a lengthy career in community service already behind her. After moving from Puerto Rico to New York City as a child, Caceres raised a family in NYC with her husband, Heriberto, and put her bilingual skills to work as an advocate for Spanish­-peaking residents seeking help with housing, education, and immigration issues. 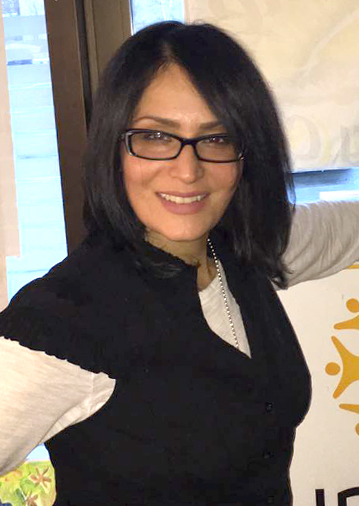 Caceres has been honored for her service by organizations including the Lions Club and Latinos Unidos, and continues to contribute her time and talents to Newburgh City events such as the Spanish Heritage Festival, National Night Out, and Annual Hispanic Heritage Cultural Celebration.